I am so pumped about today’s video! I have recently started working out again, and I realized that my workout wardrobe needed a bit of help. I have been looking for some amazing activewear, and I finally found some pretty affordable pieces this weekend, so I had to hop up here to share it with you all! You guys ready to see what fabulous goodies that I purchased? I hope you have enjoyed all of my fashion-forward workout gear! Can you believe that it was mostly from Walmart and FAMILY DOLLAR?? That goes to show you that you really can find some great plus size fashion you just have to walk into any store and give it a try! 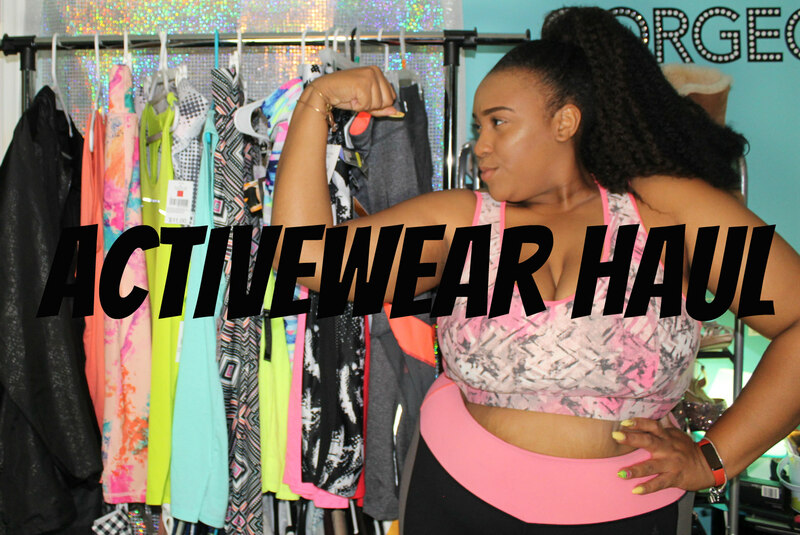 Here is a list of other places to buy Activewear from! So ladies and gents that wraps up today’s blog post! If you’re interested in what my workout regimen and healthy lifestyle change is, feel free to shoot me a message! I can be contacted on any of my social media platforms that are all linked above! Even though this is the last blog post of the week don’t worry! There will be another two blogposts next week so be sure to come back for that! Remember that I love you lots like tater tots, and I will see you on Wednesday!